Modern lamp, resolutely sober and therefore crazily chic! Suitable for indoor and outdoor use. Whether outdoors or indoors ... the outdoor lamp Mooon! accompanies cosy dinners as well as mild summer nights. Inspired by the street lamps of the XIXth century, Mooon! by Tristan Lohner offers flowing lines and harmony of material and colour. A modern, decidedly simple and therefore incredibly chic lamp! This lamp consists of an aluminium structure and a diffuser made of polyethylene. Without restriction in the functions: It offers 2 light temperatures, cold white (6000 K) and warm white (3000 K), each adjustable to two light intensities (100 % and 50 %). The luminaire provides 6 to 14 hours of warm light without cables. On its charging base, for example, it can provide unlimited beautiful light next to the sofa. The integrated Bluetooth technology enables the light to be controlled remotely via the smartphone. The MOOON! 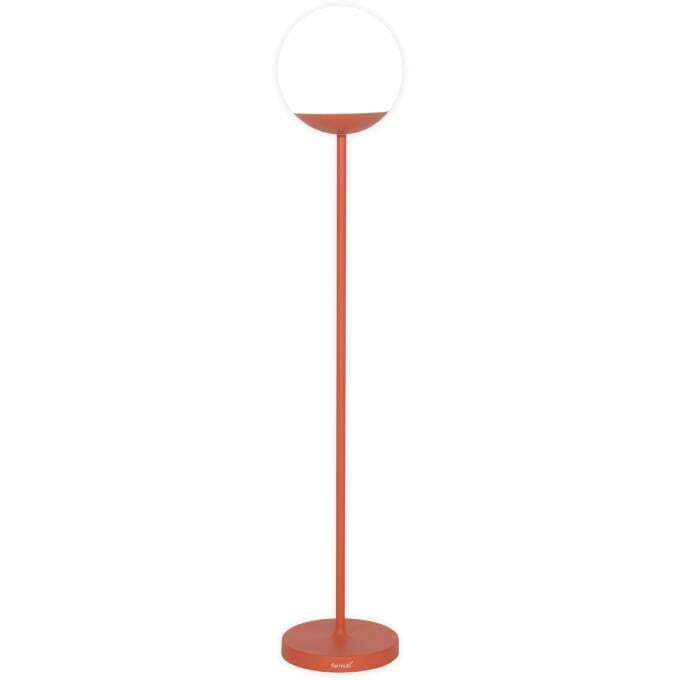 Battery-powered LED floor lamp from Fermob is available with frames in various colours. Open the bird cage - build yourself a nest full of lively colours. Invite all your friends to relax and enjoy the sky. Do you have a question about "Mooon!"? How can we contact you?